On the home stretch to finishing my dress, I have had a few problems. First I put in the 12-14 inch zipper listed on the pattern envelope. Common sense should have told me it would be too short, and it was. It was hard unpicking the tiny stitches, but I did a better job putting in the replacement zipper, a 22 inch zipper I shortened to 18 inch. The first time I caught some of the coils and the zipper couldn’t move. 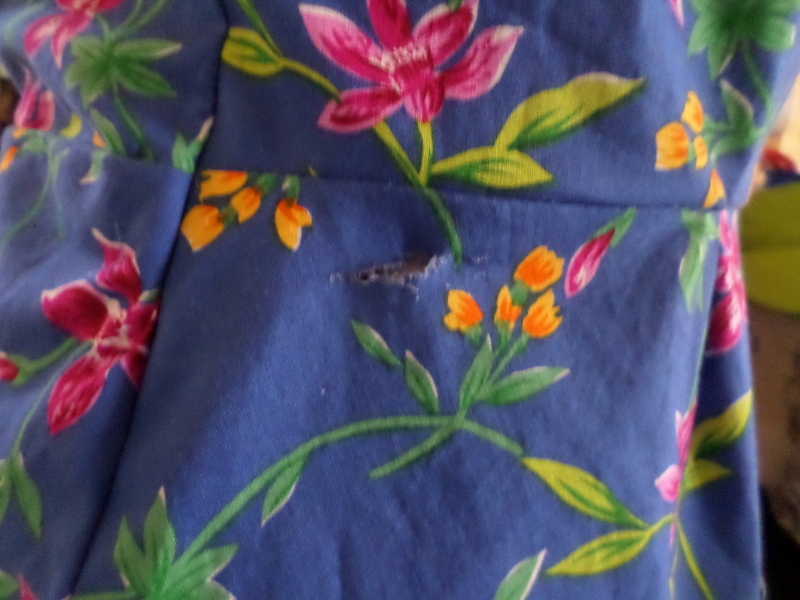 The second time I ironed the zipper and I manually moved the coils to the side as I sewed. I bought the Brother invisible zipper foot. My waist seam didn’t match up on either side of the zipper so more unpicking. 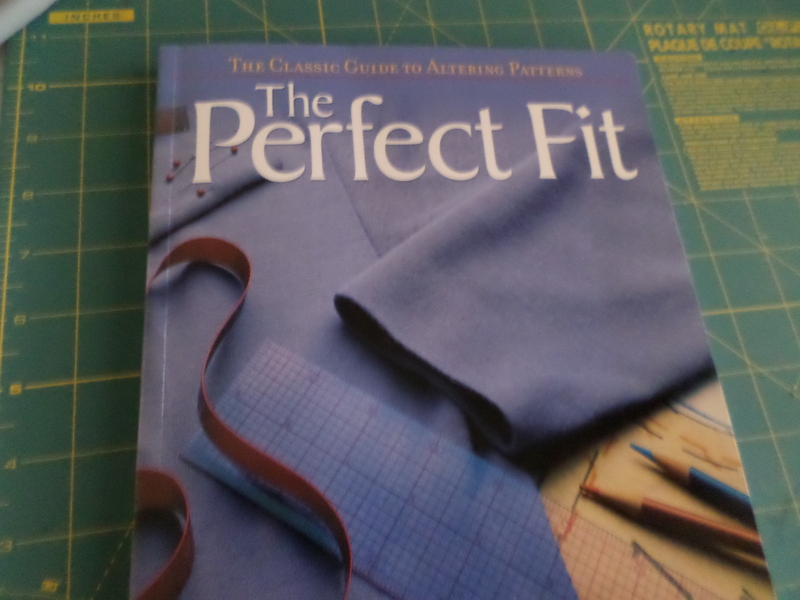 The book, The Perfect Fit, for altering princess seams to fit a full bust. I didn’t trim my lining properly so I badly needed to understitch. 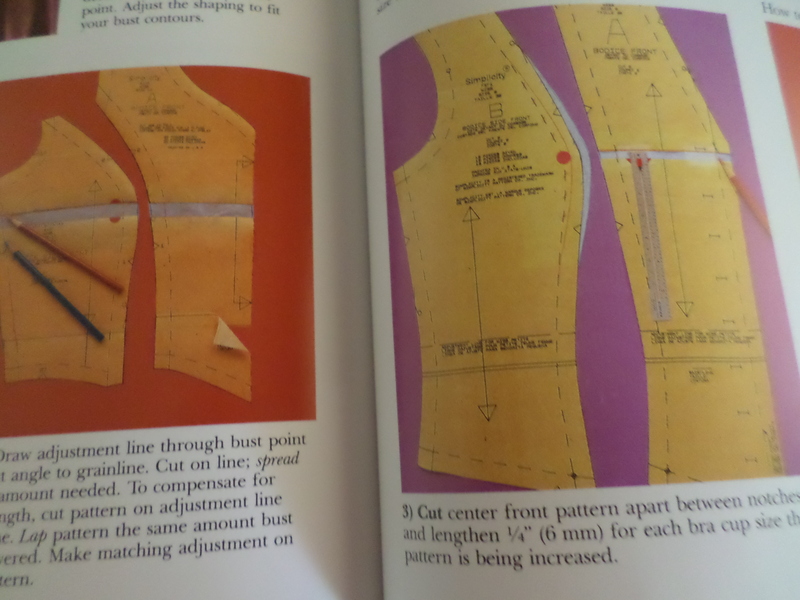 The part that I wondered about is if you sew through both seam allowances; I came to the conclusion that you do. 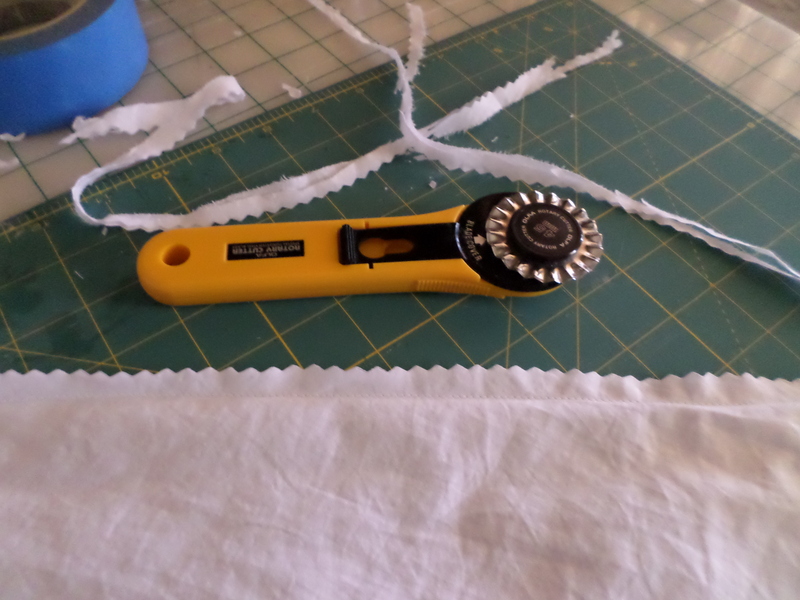 I enjoyed using my new rotary pinking blade to finish my seams. Oops! or should I say “darn!” (pun intended). Not a mistake you want to make at this point, but at least my fingers are intact. All that’s left now is hemming and tacking the lining to the zipper. I’m so ready to be finished! 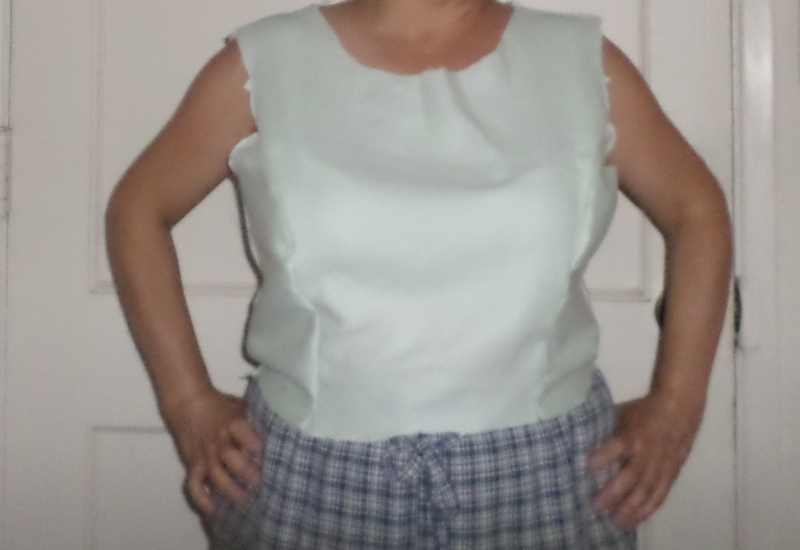 This entry was posted in Sewing and tagged "The Perfect Fit", Brother invisible zipper foot, lining a bodice, princess seams, rotary pinking blade, understitching on August 24, 2013 by Stitch It Again. Fitting a pattern can be a tough process. 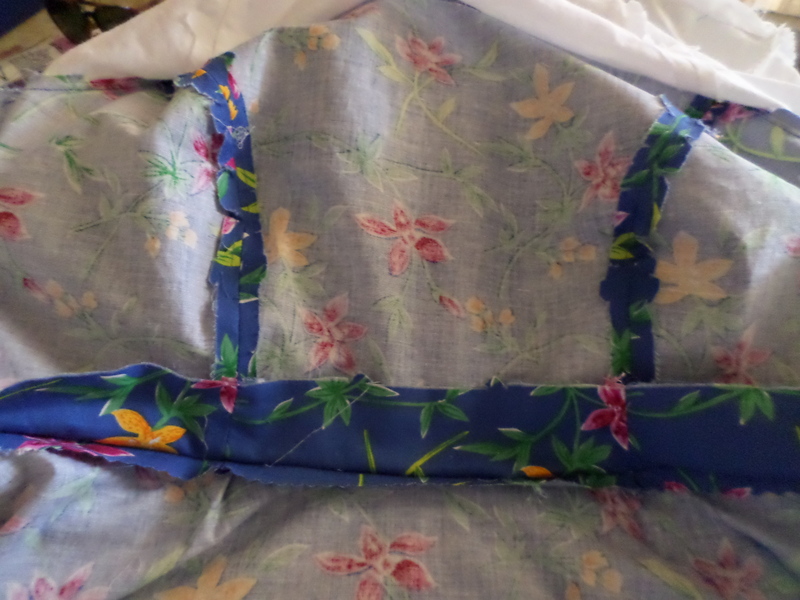 I made a few muslins of the princess seam bodice. Size 16 was too big all over. Size 14 was better, but I’m still not satisfied with the placement of the princess seam. I thought they were supposed to curve over the the apex, the fullest part of the bust. An internet search confirmed that the seam should be over the apex or 1/4 inch to the side. I think the center panel should be narrower and the side pieces bigger and more curved. Would a size 12 center work with a size 16 side? Too many of my clothes are tight at the bust, and I want to avoid the fabric straining and the bust flattening effect. I did look at princess seam pattern adjustments on the web but found them complicated and confusing. Then I looked it up in a book I actually own, “The Perfect Fit”, by the editors of Creative Publishing International. It shows to add 1/4 inch to the fullest part of the curvy side panel for each bra cup size larger than B, and blend the line from the increase mark to points 4 inch above and below the apex. 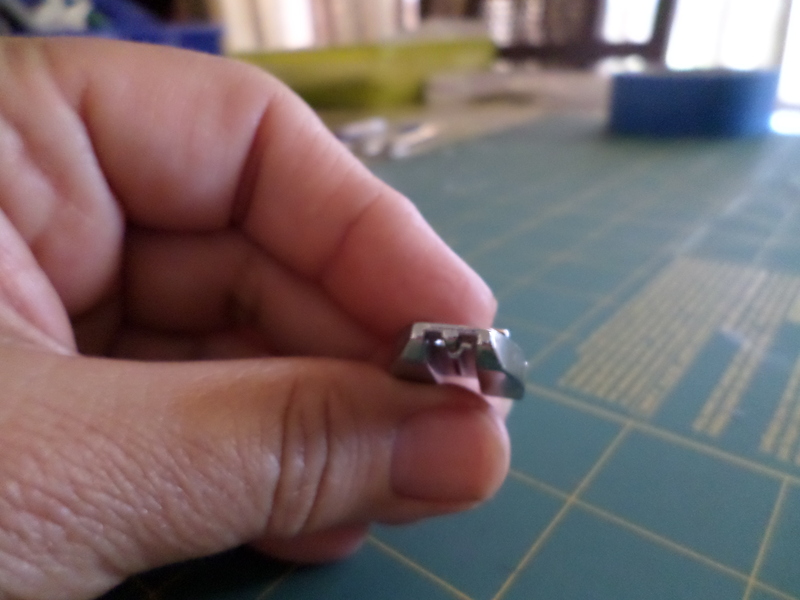 Then you cut and lengthen the center front piece by the same amount at the corresponding place at the fullest bust level. Finally something simple and easy to understand! I didn’t know whether you are supposed to pin fit the muslin, or baste in a zipper, so I cut and sewed it like a pullover and put it on over my head. I haven’t looked too much at the fit in the back, but I usually have a horizontal fold of material above the waist which I learned calls for the swayback adjustment. So what is a good fit? What do you think about the fit of the second muslin? Should I keep on experimenting? I think I will try adding to the curve on the side piece and cut it with a bigger seam allowance on the side seam for fitting. 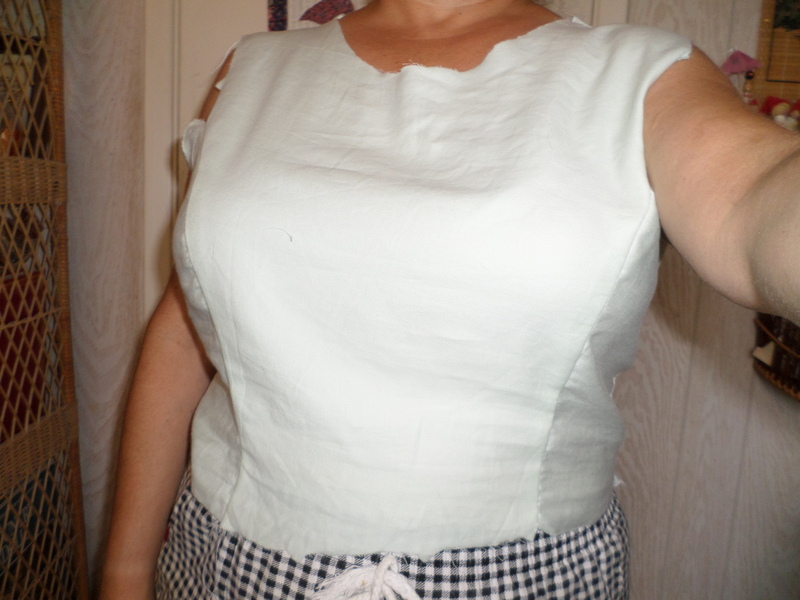 This entry was posted in Sewing and tagged "The Perfect Fit", bust apex, full bust adjustment for princess seams, muslin fitting, princess seam fitting on July 5, 2013 by Stitch It Again.